But concern about the company is a bipartisan issue, with 11 Democratic members of the U.S. Senate now voicing their concern. In a letter to the company, the lawmakers asked for answers to questions about JUUL’s marketing practices. The Democrats told JUUL they will not only look at how the company markets its product but also investigate its sale of a portion of the firm to Altria, a tobacco company. 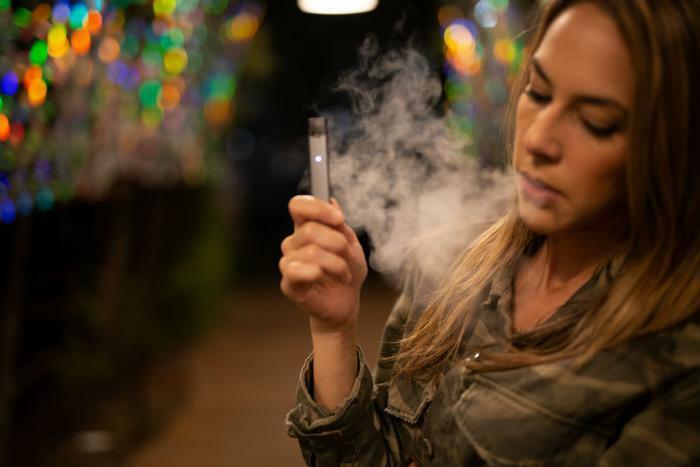 On his way out the door, Gottlieb took another shot at JUUL, a company he has repeatedly pressed to limit access by underage consumers to their product. “I hope they recognize the problem that’s been created has been created largely by their product,” Gottlieb said in an interview with Vox. Durbin cites data from the National Youth Tobacco Survey (NYTS) showing 20.8 percent of high-school students and 4.9 percent of middle-school students—more than 3.6 million children—currently use e-cigarettes. Durbin says in the last year children’s use of e-cigarettes has increased by 78 percent. JUUL has defended itself from criticism by saying it makes its product for smokers who are trying to break their addiction to cigarettes. It said it agreed to the investment by Altria because the money it received allows the company to reach more smokers who are trying to quit.